Are you looking for a unique way to celebrate a special occasion? If so, a party boat just might be the perfect venue. Imagine cruising the coastline, looking at the beautiful scenery and enjoying the company of friends and family without having to worry about anything to do with managing the event. On the boat, a staff of professionals will take care of all the details, so you can just relax and enjoy the occasion. No matter which kind of event you are planning, this can be a terrific option! If you want to have your next party on a boat, the first thing you'll need to do is decide which type of boat meets your needs. 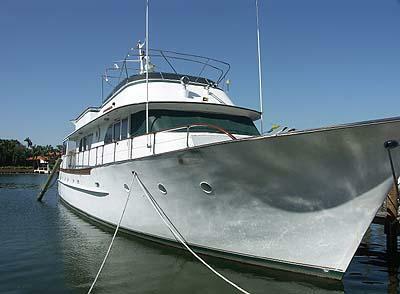 Boats and yachts come in all different sizes, and many types are available for party rentals. Keep in mind that the best boats may book months in advance, so start planning as early as possible. To find boats available to rent in your area, contact your local convention and visitor's corporation, the Chamber of Commerce or a wedding planning agency. Those organizations are sure to have contacts and be able to make recommendations. Consider your budget and the number of people you would like to attend when evaluating your options. You should visit at least a couple of different boats before making a final decision. Fortunately, one of the fun parts of finding the perfect party boat is checking them out. When you identify a few boats that make meet your needs, make an appointment to see the vessel and meet with an event planner or catering manager. When you see the boat, ask a lot of questions and take pictures with a digital camera to look over later in case you have a difficult time remembering details. Be sure to focus on whether or not the boats you are considering have everything you will need during your event. Bathroom facilities, a dance floor and a dining area are some features that may make or break your decision to book a particular vessel. There are many important things to consider when booking a party boat, including food and drink availability and pricing, facilities and pricing for entertainment, and the boat company's policy regarding inclement weather. When you talk to party boat companies about package deals, be sure to find out what they offer in terms of catering. Find out which menu options are available as well as pricing for food and drinks. Most companies charge a per-person fee for food, with prices varying based on what you order. Options probably include a buffet dinner served during an agreed upon time-frame, a sit-down dinner served at a particular time, or an array of finger foods that guests can graze on throughout the event. If you plan to serve alcoholic beverages, it is important to be very clear on pricing. If you plan to have an open bar, you run the risk of running up a significant tab. Depending on the nature of the event, you may want to provide guests with a certain number of prepaid drink tickets that they can use before being required to pay for drinks. Alternately, you may want to have an open bar for beer and wine, but require guests to purchase hard liquor. If you're planning on shaking the place up with some dancing, there are a couple things to consider. First, check out the dance floor facilities. Will there be enough room for everyone who wants to dance? Is there enough headroom for your taller friends? You also need to think about what you are planning to do about the music. Will you hire a DJ or a band? Find out if the boat company offers these services. If so, what is the cost? These are things you need to consider, especially if you are trying to stay within a reasonable budget. There's always a chance that there will be inclement weather on the evening that you rent your boat. Be sure that you are clear on what the boat's policy is regarding holding events during times of bad weather. You may be able to hold your event at the dock if it is too rough to go out, or the event may have to be cancelled completely. Find out how the boat handles refunds or rescheduling events in the event of weather-related cancellations. Planned correctly, your boat party will be a lot of fun and a unique experience for everyone who attends. Whether it's a bachelorette, birthday, anniversary, wedding or any other type of party, you will not need to worry about setting things up, making dinner or cleaning up afterwards. All you need to do is have a good time! Put on your best party face and a pair of dancing shoes, and get ready to be the host of an event that your friends and family members are sure to talk about for years to come.